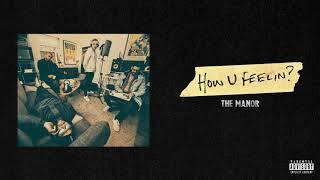 The Manor - How U Feelin? Supported by the likes of SB.TV, Noisey, Complex, CLASH, Mixmag, Mistajam and Charlie Sloth, The Manor - the best thing from Beckenham since Bowie - recently dropped the 'Weak Days, Strong Nights' EP which is their first under a new deal with Parlophone. 'Weak Days, Strong Nights' is a debauched diary of a weekend in the life of The Manor, and all of the highs and lows that follow as a consequence. On first impressions, The Manor are three friends whose music and tales of everyday life and finding the positive in any negative situation - are being embraced by like-minded souls the nation over. Along the way there's been some classic south-east London style duckin' and divin' as the trio stand on the cusp of substantially bigger things. Scratch the surface, however, and you'll see that there's much more to them than such a snapshot suggests. Johnny and Danny were schoolmates who later connected with Scotty at college. When the former pair headed to university to study economics, Scotty made a small fortune selling and trading sports hospitality, houses, baked goods and Ralph Lauren. Recent months have seen The Manor's own parties become ever more riotous. Their gig at the O2 Academy Islingtonsaw their fans break the venue's record for most beers sold in a night, and their sold-out Koko gig was followed by chaotic scenes as the police arrived to shut down The Manor's soundsystem which was en route to the aftershow just up the road. More recently they brought the party back South of the river for the biggest show yet, another sell out at Brixton's Electric. Over the summer the lads will be performing at key major festivals.